See all the latest news from the Sign, Print, Graphics & Display Industries or simply browse any category from our menu. From Amazing Projects to Wide Format Digital Printing, Visual Impact Magazine has all the latest news and emerging technologies. To find out more join our newsletter and have all the latest news direct to your email. 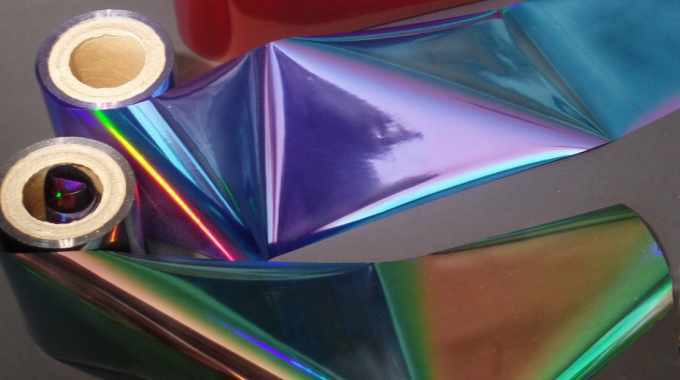 A new selection of colour-shifting foils, which enable designers to develop eye-catching brand enhancing packaging, has ..
A new selection of colour-shifting foils, which enable designers to develop eye-catching brand enhancing packaging, has been launched available by Fresnels Innovations. New ‘Scarab’, which reflects the iridescent colours of the eponymous beetle, and ‘Opal’, which takes its inspiration from the colour effects seen in mineral gem stones, follow the launch of the optically variable foil (OVF) Peacock stamping foil in 2018. The latest foils will feature as part of a select range of eye-catching colour-shifting effects from Fresnels Innovations, designed to improve recyclable packaging through the use of stamping foil technology instead of inks. Both are opaque foils but feature within their formulation either basic pigmentation (Scarab) or a reflective surface (Opal).Precision engineered to produce sophisticated optical elements, they deliver highly individual added-value packaging effects, which provide a striking visual appeal designed to catch the eye of consumers in the retail environment. Unlike colour-shifting inks, which only change when tilted relative to viewing light, the foils also alter colour when rotated. When applied to curved surfaces, the full gamut of colour changes can be seen at a single glance. Developed for high speed machine application and available for either hot stamping or cold transfer applications, each foil can be applied quickly and easily without the requirement for registration equipment. Fresnels Innovations is working with a Taiwanese manufacturer of folding cartons to produce new eye-catching plastic free packaging, which is both 100 percent recyclable and FSC carton board certified. Lintec Europe has introduced a range of easy-to-apply labelstocks featuring a ‘micro-canyon structure’ that ..
Lintec Europe has introduced a range of easy-to-apply labelstocks featuring a ‘micro-canyon structure’ that prevents the formation of air bubbles beneath the label upon application. The labelstock is claimed to be particularly effective for information labels on home appliances or electronic devices, as well as large labels in the graphics market that require a high level of air-release performance. A UL-recognized product, the labelstock is also resistant to blistering caused by outgassing emitted by certain plastic surfaces. Kornit Digital, a global market leader in digital textile printing innovation, has announced the introduction of the new..
Kornit Digital, a global market leader in digital textile printing innovation, has announced the introduction of the new Kornit Presto, the only industrial single-step solution for direct-to-fabric printing. The Kornit Presto solution eliminates the need for pre and post treatment of fabric and allows for high-quality printing on an extraordinarily broad variety of fabric types and applications. 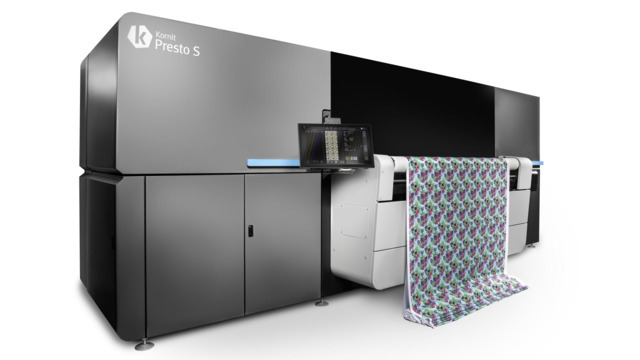 The Kornit Presto does not consume water in the printing process, making it the most environmentally friendly solution available for direct-to-fabric textile printing today. The new Kornit Presto comes with the ground-breaking NeoPigment Robusto, the best Pigment-based ink available in the Industry. Implemented into the renowned Kornit NeoPigmentTM process, the Robusto provides above industry standard wash and rub results and exceptional color fastness across a wide fabric and application range. The Robusto enjoys faster physical and chemical bonding characteristics, enabling a significantly shorter curing time, while providing industry-leading quality and a wide color gamut. The NeoPigment Robusto ink was developed with sustainability priorities and is ECO PASSPORT and GOTS V5 approved. The Kornit Presto solution suits a wide range of business and application needs in a variety of industry segments, including fast growing segments within the on-demand fashion and home décor markets. It is a highly productive solution, available in multiple configurations and able to print 450 square meters per hour. Electronics For Imaging, Inc., has announced the launch of the EFI Fiery Colour Controller E-25C, a new digital front en..
Electronics For Imaging, Inc., has announced the launch of the EFI Fiery Colour Controller E-25C, a new digital front end (DFE) that drives many of the next generation of Ricoh’s family of colour multi-function printers (MFPs), the RICOH IM Series. “Our new intelligent Colour MFPs, the IM Series, are affordable, versatile and highly productive systems that have been designed to help seamlessly support the colour intensive workflow requirements for busy office workgroups and enterprise environments,” said Steven Burger, Head of Engineering and Vice President, Portfolio Management, Ricoh USA, Inc.. “The Colour Controller E-25C provides our customers with the power to quickly and efficiently produce high-quality colour documents & prints with accurate and consistent colour. Increased productivity: print large or complex PowerPoint and PDF files accurately and quickly, as well as high volumes of small jobs from many users simultaneously, allowing workers to get their materials printed faster to work more efficiently. Accurate, consistent colour: print logo and corporate colours correctly, adjust or correct colour, edit or enhance images on-the-fly, and ensure consistent, highest quality output over time. Easily prepare booklets: Fiery VUE, the free “visual print driver,” enables easy merging of multiple documents together, as well as seeing a 3D preview of exactly how a booklet will print. Advanced workflow options: Optional Fiery software such as Fiery Impose, Fiery Compose, Fiery Color Profiler Suite, and the Fiery Productivity Package provide advanced make-ready, colour management, and automation capabilities, including integration with EFI MIS/ERP workflow solutions. Adding the DFE to a RICOH IM Series device helps customers reduce their overall costs by printing more high-quality materials in-house. 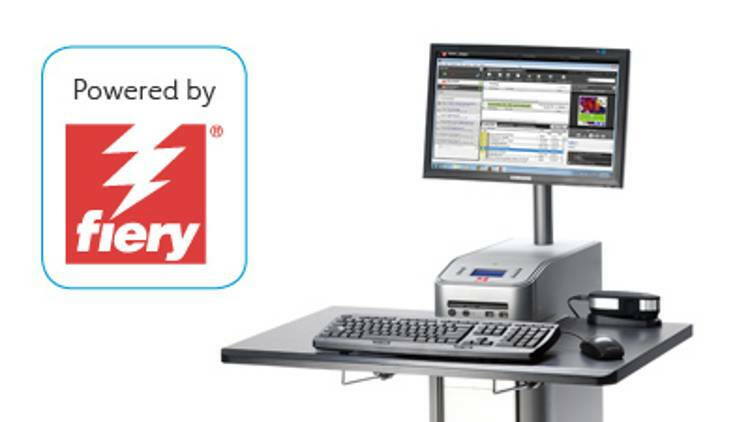 The new Fiery DFE is available from Ricoh and authorised Ricoh Family Group dealer partners. Successful legal suit filed against Nazdar and its German distributor Zaro, shows that FUJIFILM Speciality Ink Systems L.. Successful legal suit filed against Nazdar and its German distributor Zaro, shows that FUJIFILM Speciality Ink Systems Ltd takes the protection of its intellectual property extremely seriously. Commenting on the ruling handed down by the Regional Court in Düsseldorf, Germany, Rob Fassam, R&D Director at FSIS said: "This sends a clear message to anyone thinking of infringing our intellectual property. We will continue to protect our investment by filing patents that cover our technology and we will take appropriate action against those who infringe. "I am delighted that the Regional Court in Düsseldorf has ruled in our favour. We invest significant time and resource developing new and exciting technology that benefits the inkjet industry." In 2017 FUJIFILM Speciality Ink Systems Ltd (FSIS) filed suit against Nazdar Co., US and Nazdar Limited, UK as well as its German distributor Zaro GmbH before the competent Regional Court Düsseldorf (docket nos. 4b O 22/17 and 107/17). FSIS claimed Nazdar had infringed its UV ink patents EP 1 803 784 B3 and EP 2 383 314 B3 in Germany by offering its 702 & 703 Series UV inkjet inks and declaring them to be chemically compatible with the original inks designed for Fujifilm's Acuity range of flatbed UV printers. The patents on these inks protect specific inkjet ink compositions providing a range of properties including improved flexibility, jetting performance and adhesion. In reaction to the infringement actions, Nazdar filed nullity actions against the patents in Germany before the German Federal Patents Court and asked the Regional Court Düsseldorf to stay the infringement proceedings. Furthermore, Nazdar contested infringement, but did also, in reaction to FSIS' patent claims, change the chemical composition of its UV inkjet inks. However, despite redesigning the inks, Nazdar continued to market its UV inkjet inks as 702 & 703 Series and failed to indicate to customers the change in chemical composition in a way that FSIS considered necessary to avoid patent infringement. With its judgements, the Regional Court in Düsseldorf has now confirmed infringement, injuncted Nazdar and Zaro from offering, bringing to market and any further use of patent infringing UV inkjet inks. It has also sentenced them to pay damages and render account. The Court also approved FSIS's position that the change in chemical composition of the 702 & 703 Series is not sufficient to avoid infringement because Nazdar continues to market their UV inkjets inks as 702 & 703 Series without sufficient indication of the product change. Finally, while without prejudice of the nullity proceedings at the Federal Patents Court in Munich, the Regional Court in Düsseldorf did not follow Nazdar's invalidity arguments and therefore also rejected the stay motion. Nazdar/Zaro have filed appeals against the judgements. Irrespectively, the judgements remain provisionally enforceable under the condition that FSIS will provide sufficient enforcement security. A date for the appeal hearing has been set for 7th November 2019. A date for a hearing in the nullity proceedings has not yet been set. FUJIFILM Speciality Ink Systems Limited is the Technology Centre of Excellence for UV curable ink within the FUJIFILM Inkjet Business Division. 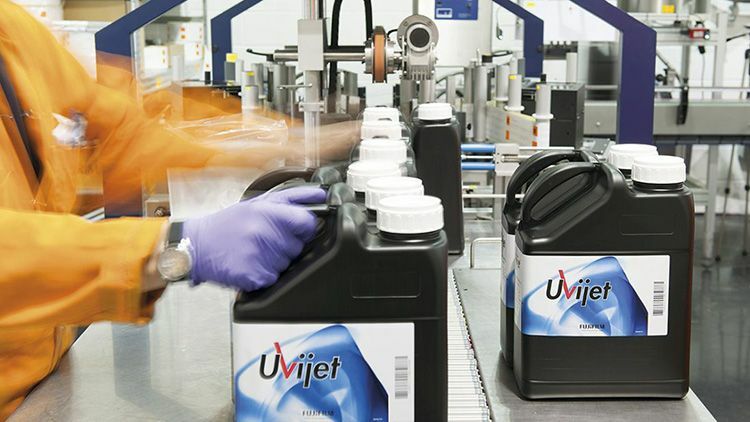 Its core skills are the development and manufacture of high performance UV curing inks that are used in many of the world's leading printers. 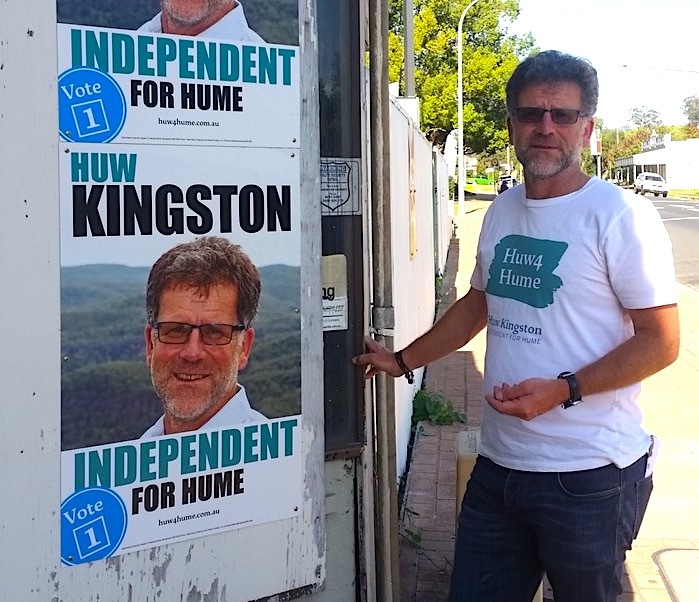 Independent candidate for Hume, Huw Kingston, believes politicians should put their money where their mouths are. And to.. Independent candidate for Hume, Huw Kingston, believes politicians should put their money where their mouths are. And to show he, for one, is serious about the environment he is doing away with the usual plastic advertising signs and using recyclable waterproof cardboard instead. ‘I tracked down this board made in Sweden, called Oppboga,’ Mr Kingston said. The waterproof outdoor board is named after the Swedish town where it is manufactured. 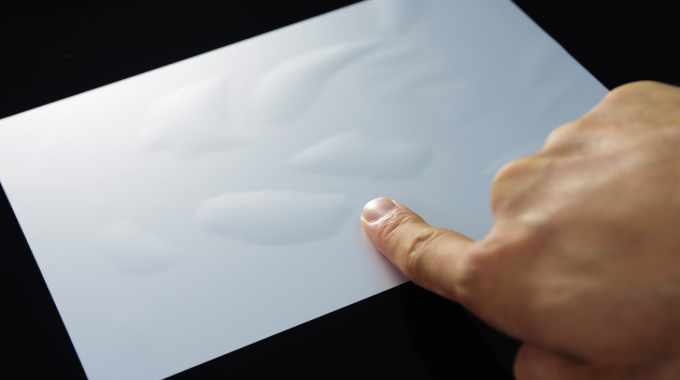 It is made from paper and a biodegradable waterproofing agent. Mr Kingston has spent two decades campaigning against single-use plastics and his conscience would not allow him to put his face up on a plastic board. Every election hundreds of thousands of plastic ‘corflutes’ go up in suburbs, towns and along country roads throughout the nation. The product manager for Starleaton, who import the Oppboga boards in Australia, John Buitenkamp, said he had tried to interest the major political parties in the product but so far none had taken it up. The boards are more expensive than the plastic corflute equivalents. The material is used extensively for signage in the UK and has been available in Australia for two years. Mr Kingston has ordered over 400 of the boards and hopes his example will be followed by other aspiring MPs in elections to come. He is campaigning on the slogan ‘There’s a climate for change’ and this is one change he would like to see, regardless of who wins the election. Additionally the Huw4Hume campaign team wear organic, sweatshop free T shirts and the vast majority of printing is done on FSC certified recycled paper. ‘People now take environmental concerns very seriously, and so should our politicians,’ said Mr Kingston, who is running against the incumbent Liberal, Angus Taylor. Böttcher Australia has officially opened their new manufacturing facility in Smithfield, Sydney. Guests from ..
Böttcher Australia has officially opened their new manufacturing facility in Smithfield, Sydney. Guests from Australia, New Zealand, Asia and Europe joined the President of Felix Böttcher, Mr. Franz Georg Heggemann, South East Asia Pacific Manager Mr. Dirk Odenbrett and Böttcher Australia Managing Director, Mitch Mulligan, to launch the new plant. The launch is the culmination of Böttcher Australia’s acquisition of Brissett, creating the regions leading manufacturer and developer of rollers, blankets and pressroom chemistry. Mitch went on to thank Terry and Craig Brissett. Mr. Franz Georg Heggemann, President of Felix Böttcher, had the honour of unveiling the inauguration plaque. Franz spoke about the amazing history of the company, and how it has grown and developed over the years. He paid tribute to their team and the close relationships they have with their customers who have been an integral part of the company’s longevity and ability to deliver market-leading products. Guests were then taken on a guided tour of the plant and its facilities, to see how Böttcher’s market leading rollers, blankets and pressroom chemistry are made, and to also field questions to the experts on hand. Epson has won its first "Red Dot: Best of the Best" award for its large format printers in the Product Design c..
Epson has won its first "Red Dot: Best of the Best" award for its large format printers in the Product Design category (Red Dot Award: Product Design 2019). In addition, five inkjet printers, one scanner and one projector model received Red Dot Awards. 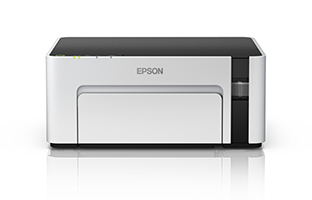 This year marks the third successive year that Epson products have been recognised in the Red Dot Award. 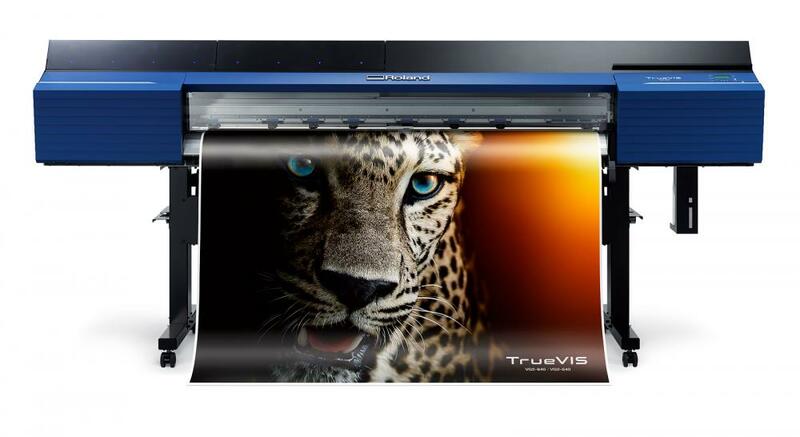 These are high-speed, high-resolution large format printers (LFP) for printing drawings in official bureaus and architect studios or PoP printing in retail shops. We redesigned the LFP, conventionally used for special applications, with a UI identical to business printers and a simple and clean look that fits any office. It provides intuitive operation and maintains a clean office atmosphere. The large touch panel, warning LEDs, and buzzer let you see the status at a glance and give guidance for easy use. We also strived to cut assembly time, streamlining work by developing new legs assembled in three steps. 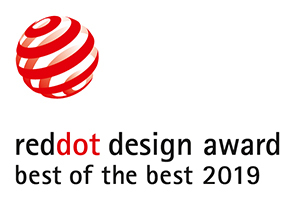 Created in 1955 in Germany, the Red Dot Design Award is organised by the Design Zentrum Nordrhein Westfalen design centre and is recognised around the world as one of the most prestigious awards in the design field. A jury of experts evaluates products announced during the past two years and selects the best designs based on nine criteria, including degree of innovation, functionality, ergonomics, ecological compatibility, and durability. 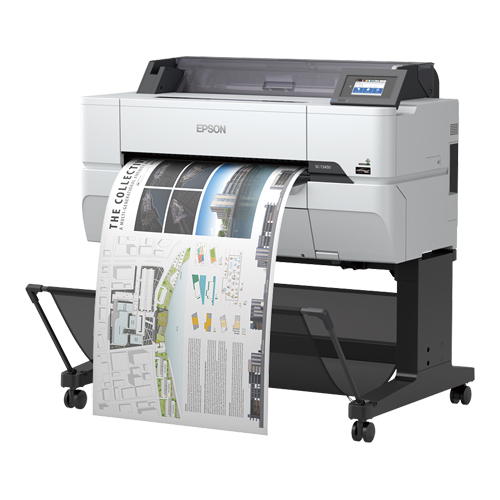 Manabu Kawahara, general manager of the P Design Department in Epson's Printing Solutions Operations Division, says, "I am thrilled. This award is the culmination of a true team effort to achieve product value that exceeds customer expectations. Moving forward, we will continue to provide our customers with designs that delight." These are A4-sized monochrome inkjet printer that achieve unprecedented compact size by directly embedding the high-capacity EcoTank in the carriage. The totally new EcoTank design puts a single slit on a simple and clean exterior. You can intuitively check the ink level or open and close the tank cover. A unique shape was used for the bottle tip and inlet to prevent filling mistakes. Just insert the bottle - the printer automatically refills ink then stops. Low cost, it also lets you print easily as you go about your daily work. These are A4-sized monochrome inkjets with a high-capacity EcoTank that enables up to 6,000 sheets on a single ink refill. The new eco tank design puts a single slit through a simple and clean exterior. You can intuitively check the ink level or open and close the tank cover. A unique shape was used for the bottle tip and inlet to prevent filling mistakes. Just insert the bottle - the printer automatically refills ink then stops. While low cost, it lets you easily perform various printing tasks and reduces downtime and waste. These are A4-sized colour inkjets with a high capacity EcoTank that lets you easily perform various printing tasks at low cost. We focused on operability to eliminate hassle and concerns about stains when refilling ink. Not only did we improve front access and the visibility of the remaining ink, we also used a unique shape for the bottle tip and inlet of each colour to prevent filling mistakes. The protruding shape expresses the performance of the high capacity eco tank, and the simple, round design around the tank gives an approachable and familiar feeling. These are A4-sized office inkjet printers that provide high ink capacity while saving space. Boasting a clean design that fits any office, the high capacity ink pack has been built into the unit to achieve a compact size that fits in narrow spaces. The change from conventional ink cartridges to high-capacity ink packs cuts the number of ink replacements and the environmental impact. We focused on operability and streamlining office work, giving the ink packs a simple connection shape for the handle and tray and including a sturdy ejection tray and a tilt panel with high retention and easy operation. These are full-colour large format printers (LFP) among the smallest in the world for use in offices, architect studios, schools, and retail shops. LFPs are conventionally used for special applications, but with UI identical to business printers and a simple and clean look that fits any office, we designed printers that make it easy for customers to buy their first LFP. For schools in particular we prioritised safety, reducing the outlet port to ten mm so that children cannot fit their fingers inside. The large touch panel and buzzer let you see the status at a glance and gives guidance for easy use. This is an A4-sized sheet-feed scanner. As more companies move away from paper, demand is increasing for mobile scanners that can easily digitalise various documents including photos or receipts both inside and outside the office. With that in mind, we worked with engineers, improving portability to aim for the lightest weight and smallest size in the class to bring more customers a comfortable experience. The final product helps prevent operating errors during transport, improves portability for easy use, boasts simple functionality, as well as boasting an attractive design. These projectors are to be used for lighting or video performances of products or exhibits in shopping centers or museums. To better show off the appeal of the product or exhibit, we focused on a simple design that melts into the surroundings. We removed all holes and wiring from the unit sides, which customers notice, for a clean design. The vents, which any projector requires, were hidden in the design as slits with identical patterns on the unit's front and rear. The cylindrical design, made to resemble a spotlight, enables you to install it on the ceiling without negatively affecting the atmosphere. Please refer to www.epson.com.au and www.epson.co.nz for details of products and services available in Australia and New Zealand. Xeikon has announced a digital printing solution for pouches. 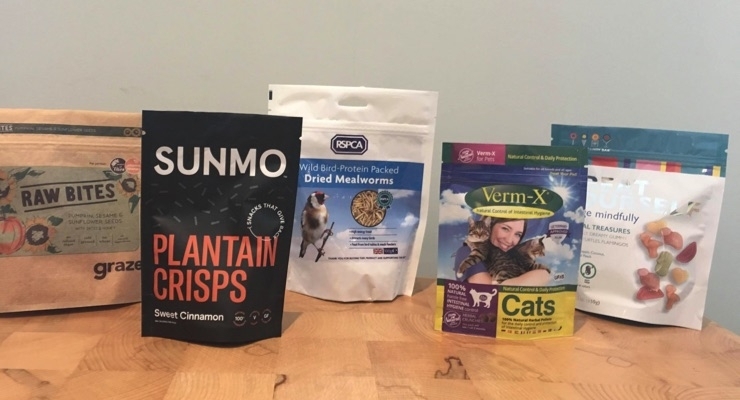 This latest innovation has been developed for consumer goo..
Xeikon has announced a digital printing solution for pouches. This latest innovation has been developed for consumer goods markets – food, beverage, chemical and pharmaceutical industries. The digital process for printing on pouches responds to current trends, i.e. significant numbers of SKU’s, shorter lead times, and the rising popularity of pouches in store. Brand owners looking for shelf impact for their products are drawn to flexible pouches for their ability to stand, their light weight and their sustainability. Xeikon has simplified a key part of the overall production process to provide a fast turnaround solution. Matrix Frame (Sydney, Australia) a pioneer of Silicone Edge Graphics, is pleased to announce the addition of four new ex..
Matrix Frame (Sydney, Australia) a pioneer of Silicone Edge Graphics, is pleased to announce the addition of four new extrusions to their range. This brings the total number of extrusions stocked in Australia up to twenty seven. Two of these new extrusions enable the end user to create frames that can turn 90 degrees around an external corner, using a single fabric face. Multiple returns are possible and this effect can be achieved in both front lit and back lit applications. Stunning effects can be created – particularly around columns and other architectural features. A new bendable extrusion has been added which can be easily rolled to create circular shapes and frames. Perfect for creating frontlit custom shapes where required. ‘Shadowbox’ is the final new extrusion to be added to the range. This extrusion allows for the addition of door and window openings into any Matrix Frame extrusion in both frontlit and backlit applications. Openings can also be created within frames for shelving and for display purposes. Established in 2006, Matrix Frame continues to adapt and modify its products to stay at the forefront of the industry. Our aluminium frames and light boxes house eye-catching tension fabric graphics are much more convenient to ship, store, and swap out than traditional prints, which translates to huge savings on shipping costs. Each lightweight aluminium frame is engineered for both flexibility and longevity-easy to assemble, yet able to support countless graphics over its lifetime. Matrix Frame only sell to trade customers and not to the end client. Trade customers can either purchase the system off Matrix Frame to cut and convert themselves, or Matrix Frame can cut its extrusions to size using state of the art equipment and then deliver the frame to trade customer as a ready to assemble kit. Matrix Frame are seeking to appoint a network of Distributors and Resellers in Australia and the Pacific region. + Instant Asset Write-Off Increased to $30K! Effective immediately, the small business Instant Asset Write-Off for new or used assets has increased to $30,000! .. Effective immediately, the small business Instant Asset Write-Off for new or used assets has increased to $30,000! Businesses with an annual turnover of up to $50 million can now instantly write-off a piece of equipment that costs up to $30,000 excluding GST, if acquired between 2 April 2019 and 30 June 2020. If you purchase and install a new Roland DG machine before June 30 2019, you can instantly write it off in your 2018/2019 tax return. This is great news for the recently released TrueVIS VG2-540 and VG2-640 Printer Cutters, that come in under $30,000. Awarded the 2019 ISA Sign Expo Innovation Award in the "Printer" category, judges were impressed with the technological advancements, comprehensive colour choices, improved machine efficiency and increased print-and-cut accuracy of the VG2 Series. SA International (SAi) has earmarked FESPA Global Print Expo 2019 (Munich 14-17 May 2019) as the stage on which to unvei..
At the show, SAi will demonstrate its very latest packages which provide added-value solutions that facilitate design to production operations and drive business growth for customers. Visitors to the stand will have the opportunity to partake in informative one-to-one tutorials focusing on the feature-rich Flexi and EnRoute solutions, as well as the company’s Box & Display software, introduced for those looking to quickly and easily design custom cardboard boxes. 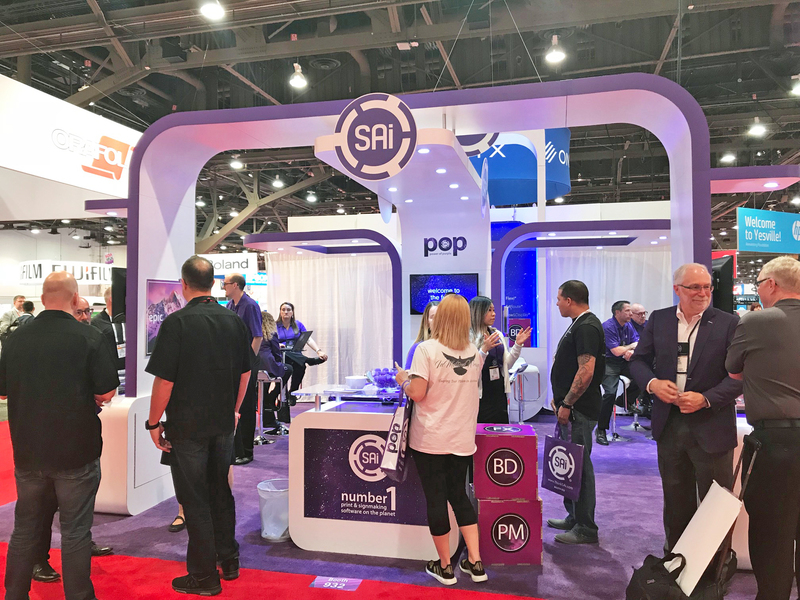 SAi heads to FESPA marking 30 years in business, with the event also set to see the company unveil its vibrant new purple branding for the first time at a major pan-European tradeshow. Visitors can also hear directly from SAi’s Vice-President, Technical Services, Eyal Friedman, who will participate in FESPA’s panel discussion, “Automate or Die: From Printing Industry to Industry 4.0”. This informative debate will look at the importance of automation within the wide format printing industry, how this is changing, and the crucial role software has to play. This will take place in the Trends Theatre on the show floor – Thursday 16 May from 13.00h-13.30h. FESPA will also provide visitors with a chance to explore the benefits of accessing Flexi via monthly subscription and cloud-based downloads. 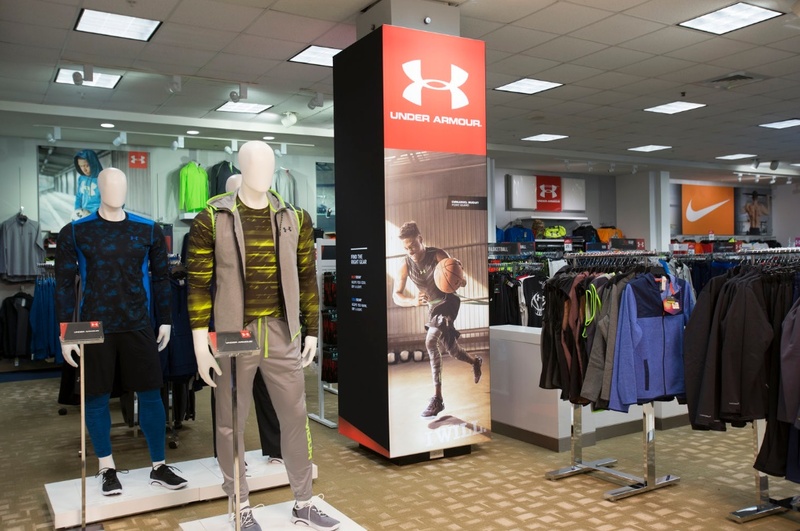 This allows large format print providers and sign & display businesses to eliminate a major capital investment and incur a low operational cost, while also ensuring they always benefit from having the latest updates. Subscribers also benefit from SAi’s recently-introduced Sign Design Elements, a comprehensive stock library of over six-and-a-half million downloadable assets for the sign industry. See SAi at FESPA Global Print Expo 2019, taking place at the Messe Munich, Germany from the 14-17 May. + PSP is now New Zealand's exclusive supplier of Metamark's range of self-adhesive SignVinyl, digital media and speciality materials. With Metamark products as instantly recognisable and widely varied as glass films, wall graphics and commercial vehicle ..
With Metamark products as instantly recognisable and widely varied as glass films, wall graphics and commercial vehicle and even V8 Supercar skins, Metamark is a well trusted name in self-adhesive vinyl that has more recently become something of a global vinyl manufacturer and distribution phenomenon. Our products have been available in Australia since 2004, and we have had high growth in the markets across Asia pacific, Europe and North America. We have products sold in more than 55 countries worldwide. Coniglio says he sees a tremendous opportunity in New Zealand for Metamark in partnership with PSP. “As part of our global growth strategy we’ve been keen to find the best partner possible to help us hit the ground running in New Zealand. When Dean Stuart rang me and told me he was joining PSP, I was pretty excited because he has so much experience in the industry. He can help build a modern supply business to suit the changing signage and print market. This is backed up by Dean Stuart, who says that the link-up with Metamark takes PSP one step further to offering a complete service across the world of rigid, flexible and vinyl products. 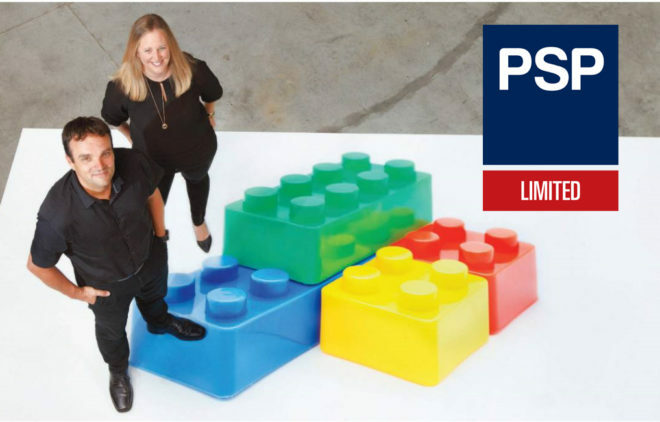 “When I joined PSP it was part of a drive to ensure that customers only needed to make one phone call to get the best range of rigid, flexible and vinyl products, save time and realise efficiencies. Electronics For Imaging, Inc. (EFI), a world leader in customer focused digital printing innovation, today announced tha..
Electronics For Imaging, Inc. (EFI), a world leader in customer focused digital printing innovation, today announced that it has entered into a definitive agreement (the "Agreement") to be acquired by an affiliate of Siris Capital Group, LLC ("Siris") in an all cash transaction valued at approximately $1.7 billion. Siris is a leading private equity firm focused on investing and driving value creation in technology companies that provide mission critical solutions and are facing technology transitions. Under the terms of the Agreement, which has been unanimously approved by EFI's Board of Directors, an affiliate of Siris will acquire all the outstanding common stock of EFI for $37.00 per share in cash. The purchase price represents an approximately 45% premium over EFI's 90 day volume weighted average price ended on April 12, 2019. EFI may solicit alternative acquisition proposals from third parties during a "go-shop" period over the next 45 calendar days. EFI will have the right to terminate the Agreement to enter into a superior proposal subject to the terms and conditions of the Agreement. There is no guarantee that this process will result in a superior proposal, and the Agreement provides Siris with a customary right to attempt to match a superior proposal. EFI does not intend to disclose developments with respect to the solicitation process unless and until it determines such disclosure is appropriate or is otherwise required. "We believe this transaction delivers superior and immediate value to our shareholders while providing us with a partner that can add strategic and operational expertise to our business," said Bill Muir, Chief Executive Officer of EFI. "We are excited to partner with Siris' highly experienced team on this next phase of growth for EFI." Commenting on the transaction, Frank Baker, a Siris Co-Founder and Managing Partner, said, "EFI is at the forefront of the digital transition in the imaging and print industry, underpinned by a strong software heritage and culture of innovation. We believe that, by partnering with Siris, EFI will be well positioned to capture this transformational opportunity associated with increased digital inkjet penetration, industrial automation and software enablement. We are eager to partner with management to help the Company achieve its strategic objectives." Commenting on the transaction, Al Zollar, a Siris Executive Partner, said, "EFI has a 30 year legacy of leadership in the digital imaging market, with strong brand equity and a rich history of pioneering innovative solutions for its customers. The Company's portfolio of mission critical products and services are united by a common thread of impressive technological enablement and software integration. I look forward to supporting EFI's strong team to help the Company anticipate evolving customer needs and drive new opportunities for innovation and growth." EFI's Board of Directors has unanimously recommended that its shareholders adopt the Agreement with Siris. Subject to the go-shop, a special meeting of EFI's shareholders will be held as soon as practicable following the filing of the definitive proxy statement with the U.S. Securities and Exchange Commission ("SEC") and subsequent mailing to shareholders. Subject to the go-shop, the proposed transaction is expected to close by the third quarter of 2019 and is subject to approval by EFI's shareholders, along with the satisfaction of customary closing conditions including antitrust regulatory approvals. The transaction is not subject to any financing conditions. Upon completion of the acquisition, EFI will become wholly owned by an affiliate of Siris. EFI will file its quarterly report on Form 10Q reporting its first quarter financial results but does not intend to host a quarterly earnings call. EFI currently expects Q1 2019 revenue to be between $220 million and $225 million. Sidley Austin LLP is serving as corporate counsel, Kirkland & Ellis LLP is serving as financing counsel, and RBC Capital Markets is serving as M&A advisor to Siris in connection with the transaction. Morgan Stanley & Co. and Greenhill & Co., LLC are serving as financial advisors to EFI, and O'Melveny & Myers is serving as its legal counsel. For further information regarding the terms and conditions contained in the definitive merger agreement, please see EFI's Current Report on Form 8K, which will be filed in connection with this transaction. Roland DG Corporation, a leading manufacturer of wide format inkjet printers and printer cutters worldwide, announced to..
Roland DG Corporation, a leading manufacturer of wide format inkjet printers and printer cutters worldwide, announced today that its new TrueVIS VG2 Series eco-solvent printer cutters have won the 2019 ISA Sign Expo® Innovation Award in the "Printer" category. The ISA Innovation Awards recognise the most unique and outstanding product launches at ISA Sign Expo 2019. In all, there were nominees across four categories, representing the breadth of the sign, graphics and visual communications industry. The VG2-540 and VG2-640 impressed the judges – an outside panel of experts – with technological advancements, comprehensive colour choices, improved machine efficiency and increased print-and-cut accuracy. Andrew Oransky, President and CEO of Roland DGA, Roland DG's US-based sales and marketing subsidiary, was quick to point out the importance of winning this coveted award. "To have ISA recognise our new TrueVIS VG2 Series as a standout product for 2019 is quite an honour, especially considering the stiff competition. The cutting-edge technologies and features of these next-generation printer cutters put them in a class by themselves," Oransky noted. "An amazing amount of research and effort went into the design and development of these machines, ensuring that every VG2 is built to exceed the needs of the most demanding graphics professional." 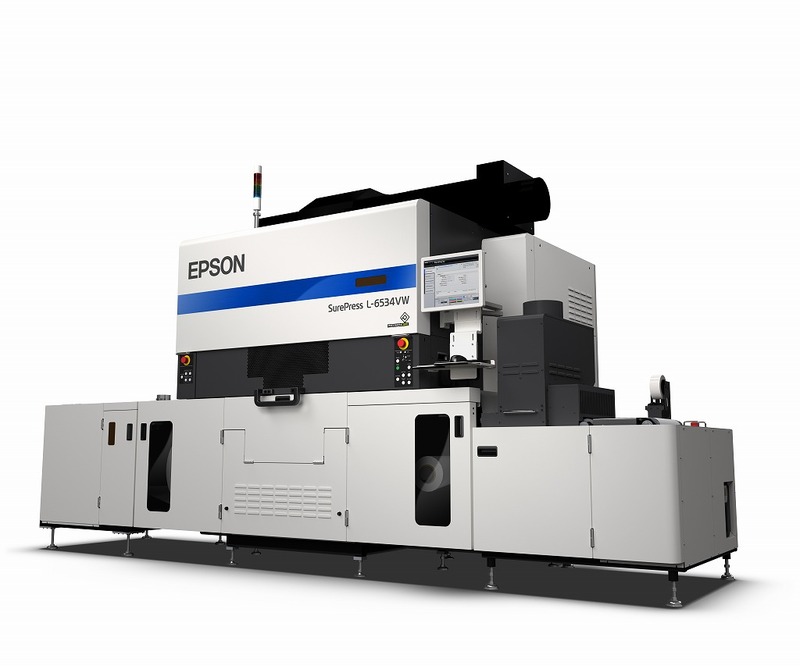 Epson today announced a new high productivity, industrial UV Digital Label Press, the SurePress® L-6534VW, which wil..
Epson today announced a new high productivity, industrial UV Digital Label Press, the SurePress® L-6534VW, which will be on display at PRINT CHINA 2019 in Guangdong from April 9-13 at Epson’s booth 1226 in Hall 1. The new SurePress L-6534VW prints at speeds of up to 50 meters per minute for higher productivity, with improved reliability and usability. The new competitively priced SurePress UV inks comply with the European framework Regulation ((EC) No. 1935/2004) on Food Contact Materials (FCM). The label press combines PrecisionCore® print heads around a central impression drum to provide outstanding image quality and precise colour to colour registration. With Epson’s proprietary Nozzle Verification Technology and automatic head maintenance, manual intervention by an operator is minimised. The SurePress L-6534VW uses low migration CMYK inks with a high opacity white as standard and includes an innovative in-line digital varnish for value added label production. A high precision web feed system ensures substrate waste is minimal and provides consistent re-registration on a pre-printed roll. Together with a corona treater, web cleaner and ioniser the press provides versatility in print production. In addition, the new model offers faster full colour variable data printing and supports a wide range of label substrates for many different applications. The new SurePress L-6534VW will begin shipping later in 2019. 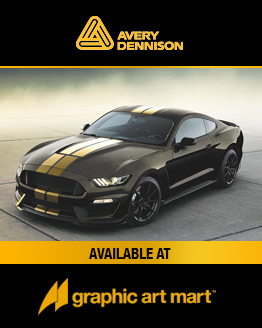 Got some great vehicle graphics design skills? 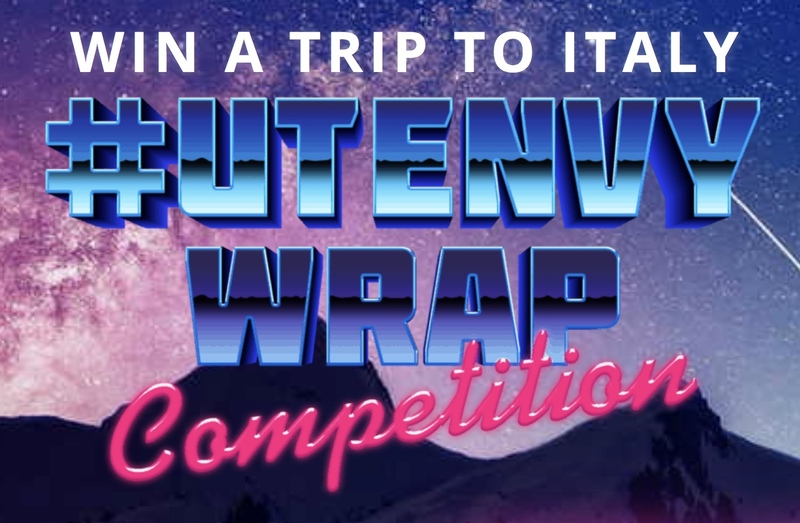 Want to win a trip to Italy? If the answer is 'Yes', then check out..
Meteor Inkjet, the leading independent supplier of electronics and software to drive industrial inkjet printheads launch..
Further enhancing Meteor’s software portfolio, MetCal solves some of the biggest challenges faced by single-pass inkjet, particularly across the web. MetCal runs Meteor’s innovative new nozzle-out compensation technology and automates the usage of PrintFlat™, a ground-breaking tool that creates a unique calibration screen for each individual printer and works together with an embedded version of ScreenPro™ to remove repeatable artefacts due to variations in performance within a printhead and in the stitch area between printheads. MetCal is available now for any system using Meteor electronics. You may have noticed a change as Epilog Laser has revamped their look in February. Over the years, Epilog has excel..
You may have noticed a change as Epilog Laser has revamped their look in February. Over the years, Epilog has excelled in creating and delivering many high-quality laser machines. Their new branding and logo represents them not only as a manufacture, but as an innovator of these advanced products. The launch of the new branding coincides with the launch of their new laser machine – the Fusion Pro. Epilog’s newest laser machine delivers our fastest speeds, largest work area, and highest engraving quality yet, along with a brand-new state-of-the-art camera system. The new Fusion Pro line features the industry’s highest engraving speeds and incredibly precise camera positioning. 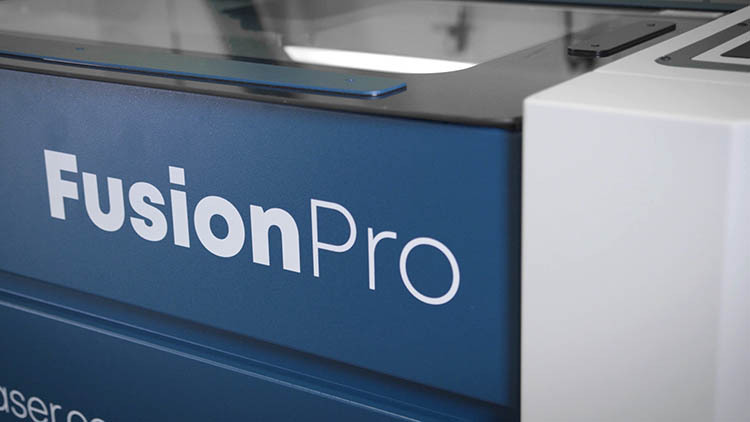 Epilog Laser, the leading producer of CO2 and fiber laser engraving, cutting and marking systems, is excited to announce the introduction of the new Fusion Pro 48 and Fusion Pro 32 to the company’s product line. These highly-anticipated systems introduce the industry’s highest-speed engraving and the most precise camera positioning features on a laser system. Available in two sizes, 32” x 20 (812 x 508 mm) and 48” x 36” (1219 x 914 mm), the Fusion Pro introduces Epilog’s IRIS™ Camera System. 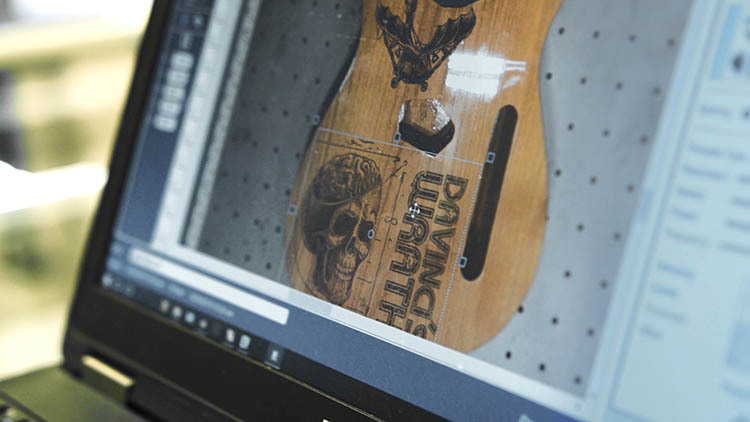 Overhead cameras allow the user to see a real-time image of the laser bed, and laser operators can precisely position their artwork on the engraving piece in less time than ever before. An additional camera at the lens assembly can also be used for finding registration marks on preprinted pieces. “The IRIS camera system on the new Fusion Pro is a game-changer for those looking for high-precision and quick setup of projects,” said Mike Dean, vice president of sales and marketing at Epilog Laser. The Fusion Pro also features the industry’s highest-speed engraving at 165 IPS with 5g acceleration. “A machine of this caliber – that combines incredible engraving speeds and the most precise camera recognition capabilities – will allow engravers to produce more product faster, and with more accuracy than ever before,” explained Dean. The Fusion Pro’s 165 IPS engraving speed and 5G acceleration combine to provide the fastest engraving in the industry. 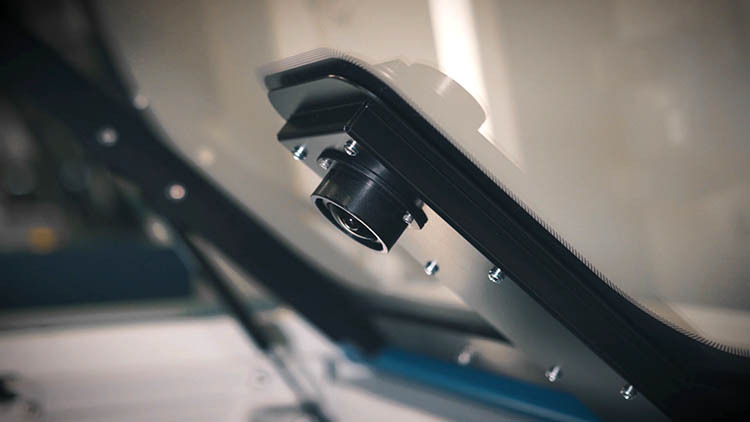 Overhead cameras provide an accurate picture of the working area for incredibly precise artwork placement, and a camera at the lens allows the system to locate preprinted registration marks. 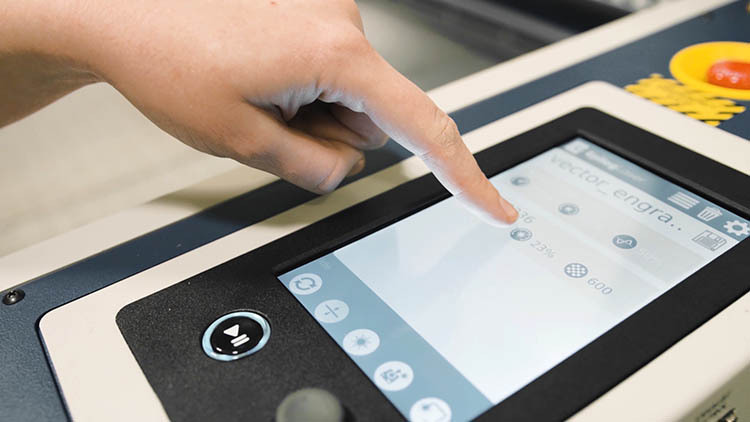 Select between jobs, change settings, and more right at the laser from the easy-to-use touch screen. Keep the mechanics of your laser machine cleaner than ever before with side bellow enclosures, a fully covered x-axis assembly, and covered lens assembly. 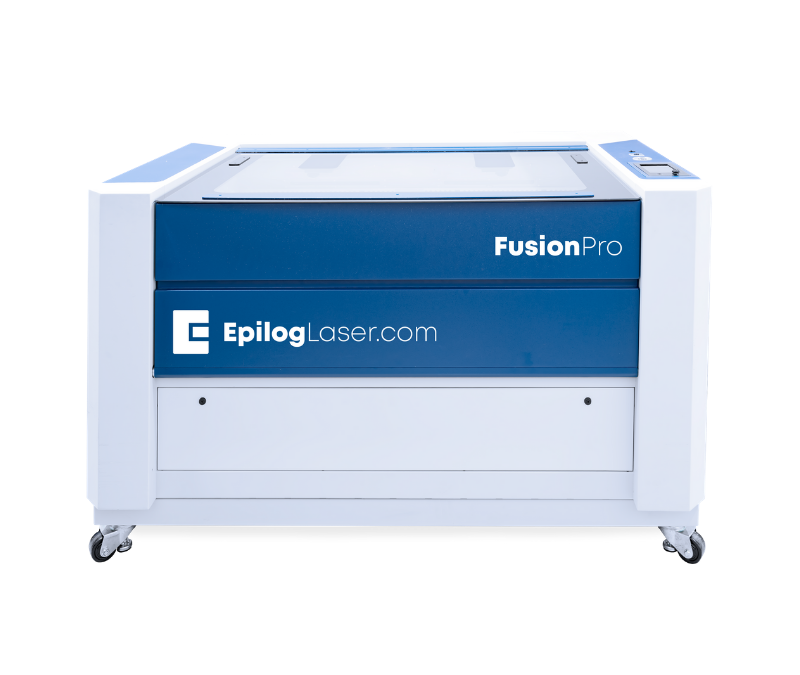 Continuing Epilog’s reputation for industrially-built lasers, the Fusion Pro 32 and Fusion Pro 48 feature the highest-quality components for durability and low life-time ownership costs, and is proudly designed, engineered, and manufactured in the USA. For more information, visit the Fusion Pro product page. Massivit 3D Printing Technologies, the leading provider of large format 3D printing solutions, has expanded its portfoli..
Massivit 3D Printing Technologies, the leading provider of large format 3D printing solutions, has expanded its portfolio of solutions with the new Massivit 1800 Pro that offers brand-new features including ground-breaking, patented Variable Resolution, new advancements optimising durability and resolution, and remote-operation options to significantly enhance operation efficiency & convenience. 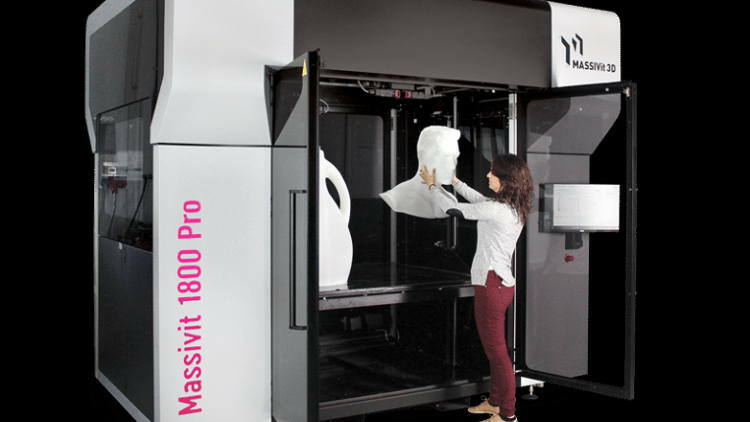 Designed to maximise production cost effectiveness, quality and flexibility, the Massivit 1800 Pro will be presented for the first time in the United States of America at an Open House event that takes place in Las Vegas on April 24th and 25th at Pictographics, a Massivit 3D customer. The Massivit 1800 Pro brings to the market a patented Variable Resolution capability that can be predefined via the printer’s Massivit SMART Pro software to allow a change of print mode (resolution level and layer thickness) on-the-fly during the printing of a model, according to the varying requirements of different model sections. In addition, a new Mega Quality resolution mode allows for faster, high-quality printing of large objects, optimising gel consumption and printing time. These two new features enable an even more cost-effective production process. An all-new, remote-operation capability has been developed allowing users to operate the printer and monitor printing progress remotely via a tablet, as well as directly contact Massivit 3D’s responsive customer support and service team if needed. Uptime is maximised by new, simple, automated maintenance procedures that are triggered according to collected data, as well as customisable priorities for preventative maintenance. Designed to serve the visual communication, entertainment, concept prototyping, and interior design arenas, the Massivit 1800 Pro 3D Printer produces super-sized, captivating signage, displays, and props at high speed, high resolution, and with perfect repeatability. This new addition joins the Massivit 1800 Flagship 3D Printer and the Massivit 1500 Exploration 3D Printer in a portfolio developed to empower print service providers as they expand their business into new markets with high quality 3D printing capabilities.